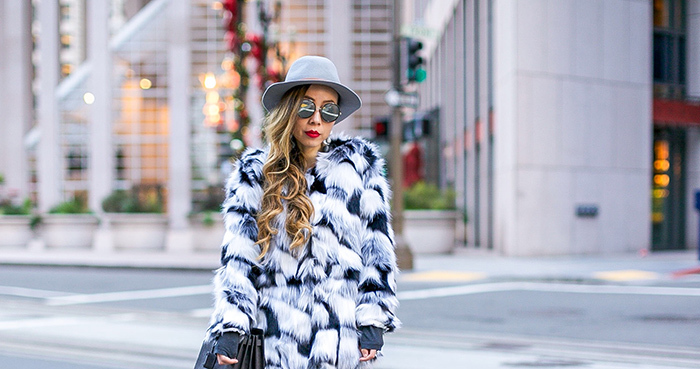 If you are looking for a new faux fur coat and not looking to spend too much on it, then this one is totally for you. The price versus quality ratio is just pretty awesome. I got so many people asked me where it was from the other day I wore it. Remember the Nordstrom half yearly sale I mentioned yesterday? Besides everything I picked for you girls, everything Lancome is on sale. You girls can also get some free samples with the purchases. Shopbop has extra 25% off on sale items with code TREATYOURSELF. Sale ends tomorrow. Check out my picks below. Revolve has up to 50% off holiday hangover sale. It's great to check out some dresses for the upcoming New Year's Eve party.